Oregon Obituaries 1958-1962 (Newspaper clippings). (no publication date) 4 volumes. Each volume indexed, about 7,000 names total. Indexed on-line, about 800 names. (no publication date) Indexed, about 400 names. (no publication date) Indexed. Some obits, mostly marriages. Genealogical data copied from the Pacific Christian Advocate (published in Oregon) for the years 1864–1890 (1867 missing). Salem, Oregon : Mahonia Chapter DAR, 1961-1964. 3 volumes. Alphabetical by surname. Oregon Vital Records from the Oregon Spectator [1846–1857]… and the Oregon Statesman, Marriages and Deaths [1851–1854]. (no publication date) Indexed, most are marriages. Vital Records from Oregon Newspapers (In the Oregon Historical Society Library collection) : Indexed by Name for Births, Deaths, and Marriages. Obituaries and News Items of People born in the 1800s. Waldport , Oregon : Yaquina Chapter DAR, 1991. 3 volumes from many Oregon newspapers. Indexed, about 500 names. Astoria, Oregon : Clatsop County Genealogical Society, c1988. 2 volumes. Alphabetical by surname. Obituaries –Southwestern Oregon Coos and Curry Counties. (no publication date) 1953 thru 1971, 6 volumes. Indexed by year, about 600 names per year for 18 years for total about 10,000 names. Early History of Coos County from Newspapers 1890–1941. 2 volumes, each indexed, about 2500 names total. Pioneers and Incidents of The Upper Coquille Valley 1890–1940. Myrtle Creek, Oregon: The mail Printers, 1971. Indexed, about 800 obits. Douglas County, Oregon : Newspaper Index. 1867–1880, various newspapers. Roseburg, Oregon : Genealogical Society of Douglas County, 2001. 3 volumes, each indexed by date. Index only, deaths, marriages, other events mixed. Ashland Tidings: Ashland, Oregon, newspaper abstracts: Index. Ashland, Oregon, 1992. Index only, 2 volumes, deaths plus others, index only, 1876–1927. Democratic Times : newspaper abstracts : Jacksonville, Oregon : Vol 1 : 7 Jan 1871–Dec 28 1877. Ashland, Oregon, 1990. Indexed, deaths plus other articles. Jacksonville newspapers : The Democratic News : Reveille : The Oregon Intelligencer : The Oregon Reporter [1901–1904]. Ashland, Oregon, Lacy Publishers, c. 1988. 2 volumes, each indexed, mixed with other articles. Medford newspapers : Southern Oregon Eye, 4 Jan 1899–25 Jan 1900 : Pacific Record Herald, 3 Jan 1929 thru 24 Mar 1932. Ashland, Oregon, 1991. Indexed, mixed death plus other items. Medford Enquirer, 9 Feb. 1900–3 July 1903. Ashland, Oregon, 1988. Indexed, about 780 names, mostly obits. Obituaries, Taken from Newspaper Clippings Gathered by Erma Sumner Rufener, Volume 5. Madras, Oregon : Stone Mountain Enterprises, 1989. #65 on spine. 1970s and 1980s, alphabetical by surname. Obituaries, Bend Bulletin and Madras Pioneer. Madras, Oregon : Stone Mountain Enterprises, 1989, 1994. 2 volumes, alphabetical by surname. #71 and #72 on spine. Madras, Oregon : Stone Mountain Enterprises, 1989, 1990. 4 volumes, alphabetical by surname. #73 thru #76 on spine. Oregon Newspaper Death Notices 1890–1902 – An Index to Death Notices Published in Eugene, Lane Co. OR. Springfield, Oregon: By the author, 1992. By years then alphabetical by surname. Index of the Daily and Sunday Oregonian. Deaths and Burials of Tillamook County, Oregon : Taken from the Kilchis Advance (1880–1882) and the Tillamook Headlight (1888–1898). Tillamook, Oregon: Tillamook County Historical Society, 1986. 2 volumes, each indexed, about 700 names. Wasco County Records Part II: Wasco Co. Vital Statistics from files of The Weekly Mountaineer & Times-Mountaineer 1865–1891. Salem, Oregon: The Ink Spot. Indexed, about 600 obits. Wasco County, Oregon: Birth & Death Extracts From The Dalles Newspapers 1890–Aug. 29, 1895. The Dalles, Oregon: Columbia Gorge Genealogical Society, 1990. Index surname only, about 800 obits. Obituaries for Washington County, OR : genealogical material abstracted from the Hillsboro Argus and the Hillsboro Independent, Hillsboro, Oregon. Portland, Oregon. 1887–1930. 3 volumes, each indexed, about 7800 names total. Wooden Scrapbook Index: Yamhill County, Oregon – Obituaries. 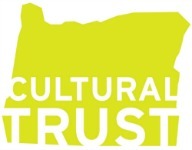 Dallas, Oregon (no publication date). Index only. Library Association of Portland Newspaper Index 1855–1984. Portland, Oregon: Library Association of Portland, 1984) 2 sets of microfiche, indexes only, obits usually have dates and age, e.g. 1906–1986 Ag 80. About 700,000 cards, maybe a third to a half are obits. Deaths and burials in Union County, Oregon 1860–Mar 1974. 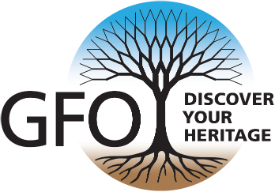 La Grande, Oregon: Oregon Genealogical Society. 3 rolls microfilm. Card alphabetical by surname, has birth, death, parents, spouse.